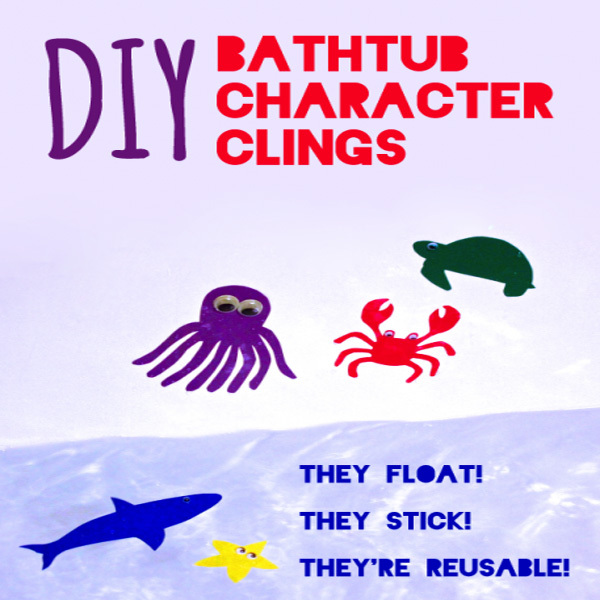 Project Description: Bathtub Character Clings float and stick to the side of the tub, and they can be re-used again and again with Grafix Cling Film. 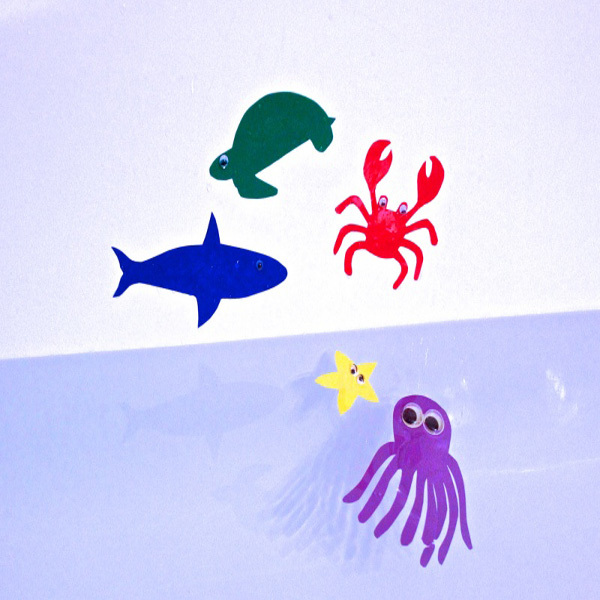 NOTE: The secret to making these little critters is Cling Vinyl, made by Grafix. This is different from the craft vinyl you may be used to; this vinyl sticks by static cling rather than adhesive. That means it’s safe for all hard surfaces, is completely removable, and can be re-used indefinitely. Begin by printing off the Free Sea Animal PDF (click), or other images of your choice. Cut roughly around the images. Use adhesive to stick the image to the paper backing of a sheet of cling vinyl. Cut around the outline of the animal. If you’d like, you can add plastic googly eyes with glue dots. Repeat with the other characters. 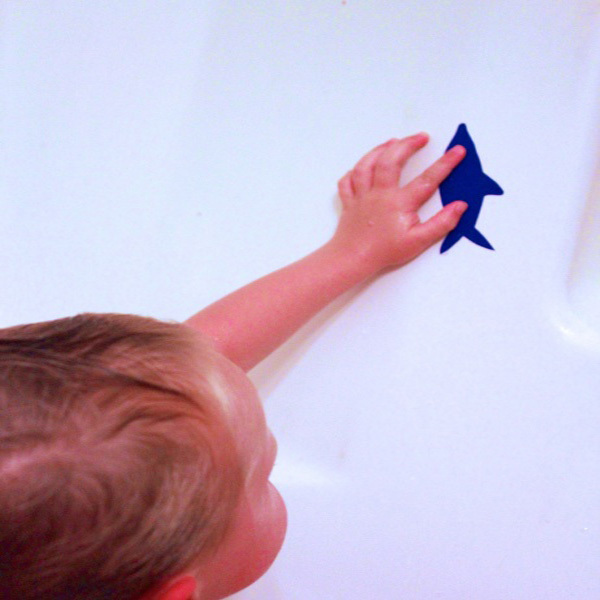 These float on the surface and cling to the side of the tub. Try pouring water on them and they pop right back up! Air dry or wipe gently with a towel and store them in an envelope for next time. If you use your imagination, you can come up with a lot of other fun character clings. You could cut out vehicles, the alphabet, or dolls.